The Bachelor of Architecture curriculum of the School of Architecture is designed to provide the student with a comprehensive educational experience, gaining knowledge and skills in preparation for the successful and ethical practice of architecture. Design studios and courses build cumulatively over the five years in order to establish a broad and deep foundation of knowledge in architecture and urban design in relation to developments in the sciences, arts, and technology. The curriculum stresses the importance of architecture as a humanistic discipline concerned with the design and construction of habitats in diverse social and ecological conditions, and their corresponding requirements for sustainability and ethical responsibility. The traditional and essential skills of drawing, model-making and design development are complemented by a full investigation of the analytical and critical uses of digital technologies. The study of world architecture and urbanism is deepened by the understanding of individual cultures, environmental, and technological issues at every scale. The theory of the discipline, past and present, is investigated through the close analysis of critical texts and related to the theory and practice of other arts, such as public art, film and video. 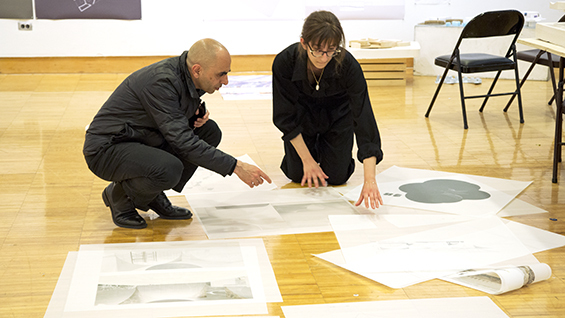 The position of the School of Architecture, together with the Schools of Art and Engineering and the Faculty of Humanities and Social Sciences, offers a unique opportunity for interaction and interdisciplinary research and experience. 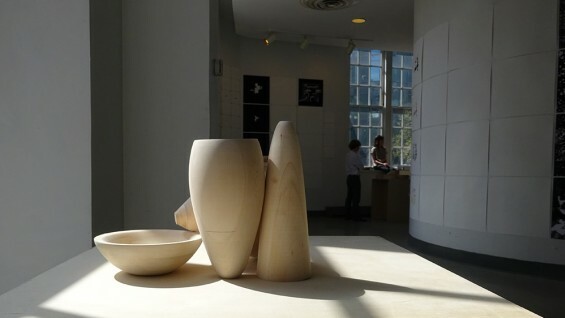 In recent years the school has developed the studio curriculum in ways that have reinforced its strong traditions of design and craft while investigating problems that reflect the changing conditions of contemporary practice, the urgent issues resulting from rapid urbanization and the need for environmental and cultural conservation. 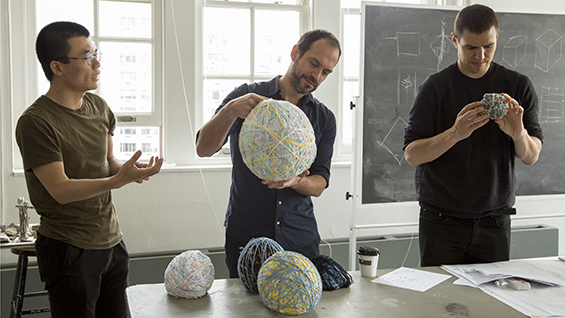 In these studio experiments students and faculty together explore the potential contributions of architecture to our changing world, redoubling their efforts to imagine a positive future for an architecture that is, after all, a discipline of design. This task does not involve a wholesale rejection of the past – our traditions and historical experience – for what has changed are not the principles, but rather the determinants and the materials of design. We are in the process of re-learning the poetics of a space of life: of air and water, of geology and geography, of culture and society, of poetics that lie deeply within these elemental forces. On this re-framing – programmatically, technologically, and above all formally – rests not simply the future of architecture, but of our life in the world. Gradually, out of this process, architecture, once more, may become a force through which life is transcribed into art in order to enhance life. The five year professional program is framed within the context of a rigorous liberal arts education that includes a wide range of required and elective courses in the Humanities and Social Sciences, together with elective opportunities in the Schools of Art and Engineering, emphasizing the nature of architecture as a cultural, social, and technological practice intimately tied to the increasingly urgent questions raised by the man-made and natural environment. The First Year is conceived as a broad introduction to society, culture, environment, and the nature, place and role of architecture in this context. The student is introduced to the principles and experience of drawing and representation in a broad range of media and formats: freehand drawing is taught side by side with projective geometry (hand constructed and computer generated), and other means of architectural representation. The Architectonics Studios encourage the investigation of space, structure, and form, as inflected by the occupation and movement of the human body, and situated in the context of environments from natural to urban. The first two semesters of the History of Architecture sequence take the student through the global developments in architecture from Antiquity to the end of the Medieval Period, with special attention to non-western and traditional architectures. The First year of the Humanities and Social Sciences Core emphasize the student’s reading, writing, and analytical skills through the study of literary, historical, and sociological texts. 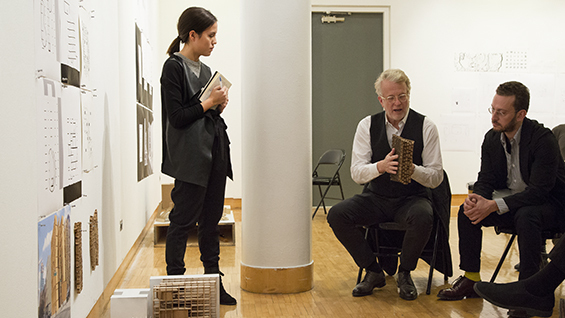 The Second Year advances the student’s knowledge of architecture historically, culturally, and professionally. The Second Year Design Studios are dedicated to the examination, through analysis and design exercises, of the “elements” of architecture and their assemblage, including sites and its ecological conditions, program, spatial accommodation and organization structure and environment. The first segment of the structures sequence introduced students to the principles of architectural structure. The second two semesters of the History of Architecture sequence examine the history of global architecture from the Renaissance to the present, with special emphasis on the complex environmental relations between increasingly industrialized and developing societies. The second year of the Humanities and Social Sciences core advances the students’ knowledge of writing and analytic skills with in-depth courses in literature, history, and philosophy. The Third Year is envisaged as a comprehensive experience of the discipline in design and professional knowledge, supplemented by a range of required and elective courses in environmental, technological, and humanistic subjects, forming an integrated introduction to the environmental, social, and programmatic understanding of design. 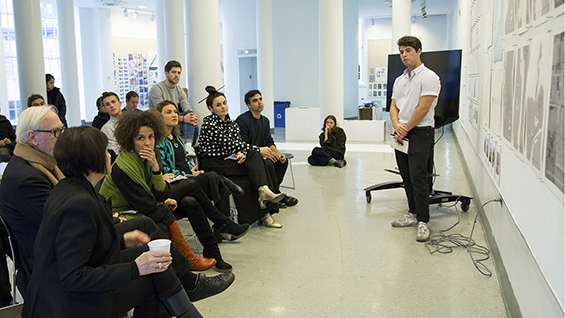 The Third Year Design Studios build from analysis to synthesis, from analyses of total building assemblages and smaller-scale design exercises, to the development of a comprehensive design for a complex programmatic institution. To this end, the faculty responsible for the teaching of environmental technology, building technology, and structures join the design faculty as teachers in the design studio, with students bringing appropriate aspects of their design proposals for elaboration within the specialized courses. The Fourth Year broadens the study of architecture, placing it within its diverse urban and rural contexts, with students gaining advanced knowledge of technological, structural, and professional concerns, the planning, zoning, social and cultural implications of architectural interventions. The Fourth Year Design Studios study the relation of institutional architecture to urban networks and infrastructures, public space, and typologies, from the investigation of rebuilding strategies following disasters, the role and nature of tall buildings, the nature of public and private institutions. The study of landscape is emphasized, both as large-scale natural environments and smaller scale site developments. A broad spectrum of specialized elective courses, including Modern Architectural Concepts, Analysis of Architectural Texts, Landscape, Advanced Topics in Environmental Studies, History, Theory and Criticism, Advanced Concepts in the related arts and professional ethics, deepens the understanding of the profession, and its relationship to different cultures and environmental context. The Fifth Year is constructed around the student’s development of their individual thesis project, and the in-depth study of professional practice in all its aspects. The year-long Thesis is divided into two stages over two semesters, with intensive research followed by a comprehensive design. The subjects of the thesis vary in scale and context, with the proviso that the student investigates a problem of fundamental importance to contemporary life and architecture, identified as a site for the intervention of design as an ameliorative construct. Overall the design thesis emphasizes the profound relationship of architecture to the broader problems of the environment and ecological sustainability, whether at the scale of desertification and rising sea-waters brought on by global warming, the provision of unpolluted water to developing communities, to the smaller scales of urban signification, mobility, and programmatic re-use. The course in professional practice surveys the questions of licensing, internship and IDP participation, and introduces students through site visits to a range of practices and public hearings.